Thanks to the support of EBN, European Innovation Network, and the Maiwald Patent Office in Munich, Greenspider finalized an European Patent Application, protecting the "Mobile Access Method" implemented in Greenspider solution called SMASH, Smart Sharing. The European patent application No. EP14 196 604.4 has beed filed on the 5th of December 2014. Applicant Greenspider. The Title is Resource Control Apparatus, server Apparatus and Method for controlling a Resource. 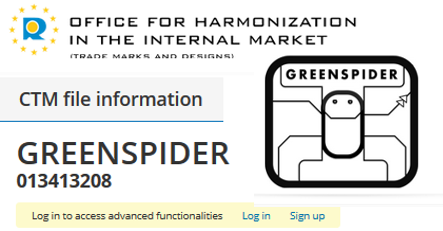 The complete patented solution is available in a complete implementation, scalable for several Smart Mobility application, and engineered for large scale industy, by means of licensing options that can be estabilished together with Greenspider Trademark, that has also been registered as EU trademark, or independently.